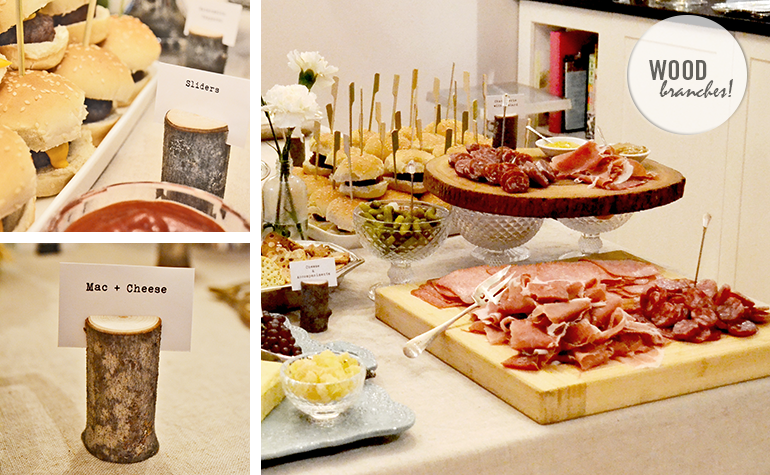 There are lots of fun ways to make your dinner party special; an easy favorite…food markers! Here are three easy and inexpensive food marker ideas that you can make yourself, all you need is a printer and some basic household items! Once you have finalized your menu, use your computer to layout all the different cards of the food you are planning on making, they can be different sizes. Print, cut, tape and you’re done! With the pinchers still attached, squeeze open the binder clips and slide in your food markers. Once you are happy with the way they all look just remove the pinchers! Remember to keep them as it’s near impossible to open the clips once the pinchers are no longer attached. Try painting the binder clips for a themed dinner party! Ok this one is a little more work but totally worth it! Using a hand saw, cut a 1″ diameter branch (clean in up before you cut it!) into 2.5″ pieces. Again, using the saw, cut into the center of top each of the pieces of branch until you have a 1/4″ deep groove. 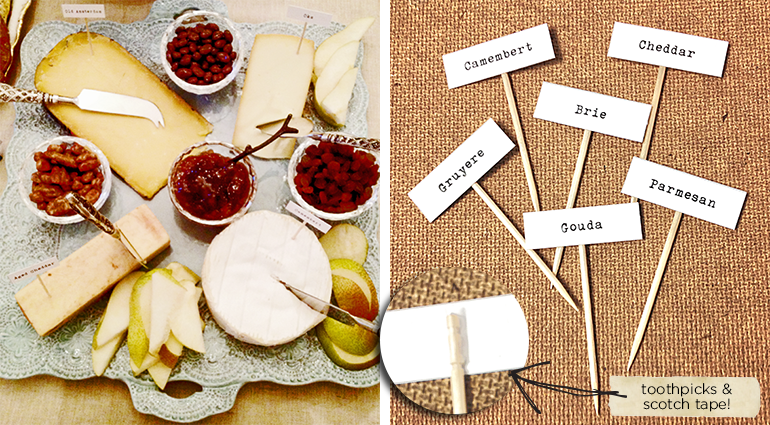 Be creative… there are tons of other household items that can be transformed into food markers. Have fun!